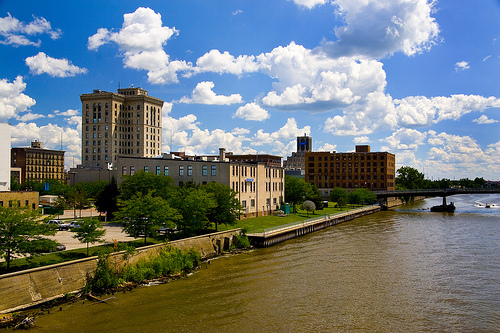 The City of Saginaw is a great destination for anyone looking to purchase a home. And here are a few suggestions and links to help you make up your mind! The Riverfront provides almost constant relaxation opportunities year-round whether cruising up and down the river on a warm summer day, fishing from the banks or the new pier near Court Street, walking along the Saginaw Riverwalk, watching fireworks over Ojibway Island, or Ice Fishing in the Annual Shiver on the River. Celebration Square provides cultural activities and summer events. Located at the corner of Washington and Ezra Rust (Court) Streets, Celebration Square has the Saginaw Children's Zoo, the Japanese Cultural Center and Tea House, Hoyt Park, Andersen Enrichment Center sponsoring activities such as the "All That Jazz" Free Summer Concert Series, Ojibway Island, Garber Tennis Courts and Wickes Park. PRIDE in Saginaw sponsors events throughout the City, throughout the year. Check out their website, http://www.prideinsaginaw.org for upcoming events.